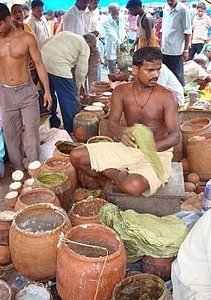 In a significant development, High Court ordered to restrict selling of Mahaprasad by non-servitors at Ananda Bazar inside Shree Jagannath temple and stop the sale of ‘Tanka Torani’. The court order the administration hearing public interest litigation (PIL) was filed by Chittaranjan Mohanty on Jan 30.The petitioner has alleged that non-servitors were reaping profit by selling food in the name of Mahaprasad insider the temple premises. He also alleged that the drink “Tanka Torani” is prepared under unhygienic conditions. Over the court’s orders, on Saturday, Shree Jagannath temple Chief Administrator Bikash Chandra Mahapatra and Collectors held discussion with the members of Saur-Mahasur Nijog, the service body that deals with cooking and selling of Mahaprasad.